A retired Canadian rancher headed to California with 6,800 kg (15,000 lbs.) 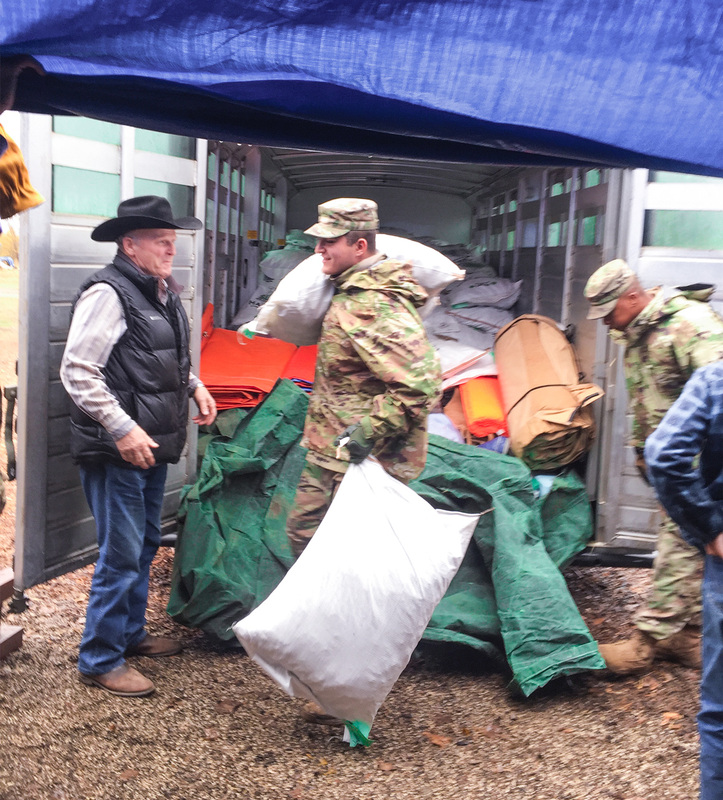 of feed, along with medical supplies, to help more than 200 horses impacted by wildfires. Retired rancher and horseman Darrell Glover of Olds, Alta., saw a news report of how horse owners in the Paradise area had no choice but to release their animals to fend for themselves when wildfires descended upon Northern California. The blaze that started November 8 levelled Paradise, Calif., destroying more than 13,000 homes. Paradise is about 225 km north of San Francisco. Glover learned that many horses were discovered running down highways. The herds ended up in a fairground, and a nearby horse facility opened its “doors,” and soon close to 200 head were in temporary residence at the Camelot Equestrian Park in Oroville. Glover stayed on for a few days, helping out at the Camelot Equestrian Park, where many of these horses have been sheltered. While there, additional donations arrived, along with the National Guard.